Drawing upon a six-year research project at the Stanford University Graduate School of Business, Collins and Porras poured through the data and asked: "What makes the truly exceptional companies different from other companies?" Have you ever wondered why some companies stand the test of time and thrive while others flounder? 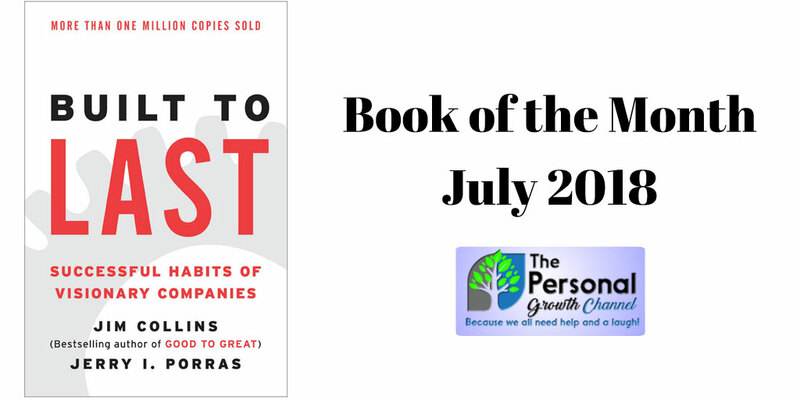 This month's book of the month is focused on helping you answer those questions and understand the core components of a successful business. Here are a few key points that you will learn and expand upon as you read this book. "Architects' approach." Leaders try to build the company so that the company lasts long beyond the current set of leaders. Do not accept that you have to chose between things. Great companies embrace the genius of "the and," finding a way to do both. Have a purpose that goes beyond making money. Stands for something and has core values it really believes. Preserve the core/stimulate progress. The only thing scared is the philosophy of doing business. Change is encouraged, but everything is aligned to the core. Use BHAG's (Big Hairy Audacious Goals) to challenge and motivate the company. Building true commitment to the goal. Demanding of people for both accomplishment and adherence to core ideology. Indoctrinate people more, greater elitism. Move forward by trying a lot stuff, keeping what works and getting rid of what does not. Manage failure. Grow their own leaders and managers. Strive for continuity of leadership to preserve core values. Very demanding of themselves and have very high standards. Stimulate change before external environment demands it. Worry about becoming complacent. Get the right people on the bus. Just like our mastermind groups, great companies start by getting the right people in the seats. Enjoy this month's selection! To order it from Amazon and send a few pennies our way to support our personal development community, click here or use the link below.